December 10th 2017 is International Animal Rights Day. Every year, this awareness day falls on the anniversary of the ratification of the Universal Declaration of Human Rights in 1948. The day promotes the long-term campaign for the acceptance of the Universal Declaration of Animal Rights, which is a proposed inter-governmental agreement to recognise that animals are sentient, to prevent cruelty and reduce suffering, and to promote improved welfare standards for animals such as farm animals, companion animals, animals in scientific research, draught animals, wildlife and animals in recreation. It is proposed that a Universal Declaration of Animal Rights be adopted by the United Nations as a non-binding set of principles that acknowledges the importance of the sentience of animals and human responsibilities towards them. The principles were designed to encourage and enable national governments to introduce and improve animal protection legislation and initiatives. 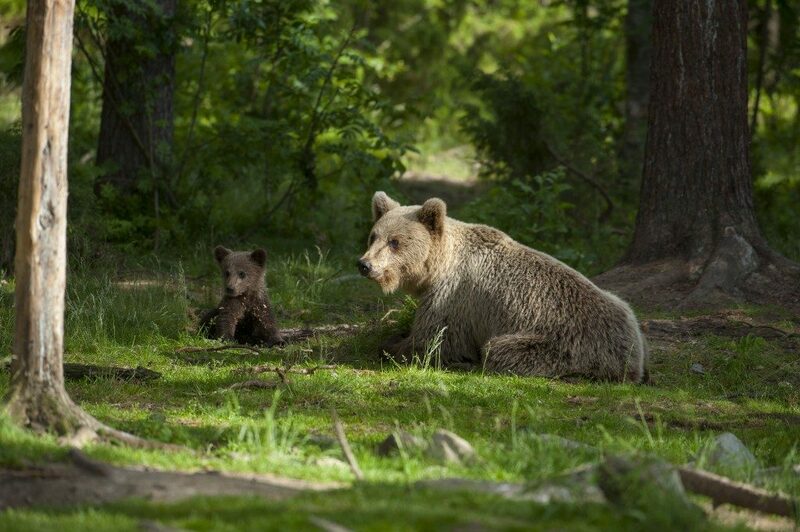 In honour of International Animal Rights Day we are sharing this fantastic picture of Eurasian Brown Bears taken by Janette Hill on the Russian Border. This photo features in our Wildlife of the World touring exhibtion. To find out where you can see Wildlife of the World in 2018 please visit our exhibitions page.